“WALT DISNEY WORLD is a tribute to the philosophy and life of Walter Elias Disney and to the talents, the dedication and the loyalty of the entire Disney organization that made Walt Disney's dream come true. May Walt Disney World bring Joy and Inspiration and New Knowledge to all who come to this happy place...a Magic Kingdom where the young at heart of all ages can laugh and play and learn -- together." As it moves through the new millennium, Walt Disney World Resort continues to grow in size and scope far greater than anyone could have imagined in 1971 when the new “World” opened with just one park -- Magic Kingdom -- and two resort hotels. 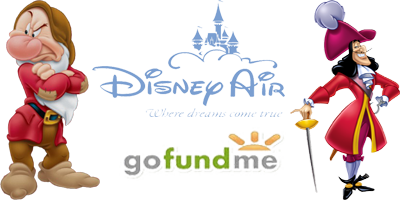 Today’s Vacation Kingdom encompasses four major Disney theme parks, two water parks, six golf courses and the Downtown Disney dining/shopping/entertainment complex. 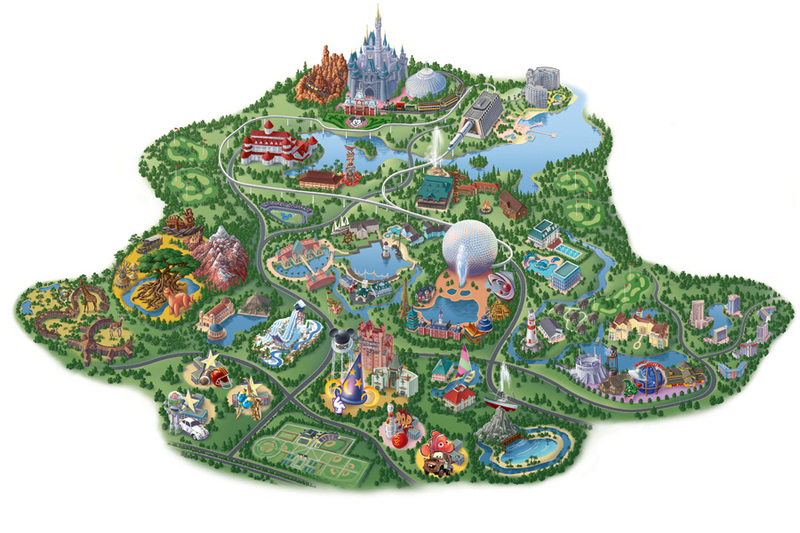 Total visitation in the four Disney theme parks is more than 700 million guests. There are 21 individual Disney resorts, plus a totally different kind of new-age community called Celebration, also an outgrowth of Walt Disney’s original Florida dream. The Orlando International Airport has a hub-and-spoke layout with a large main terminal building and four airside concourses accessible via elevated people movers. The main terminal building is divided into two terminals; A and B. There are passenger check-in and baggage claim facilities on both the building's north side (Terminal A), and on the building's south side (Terminal B). 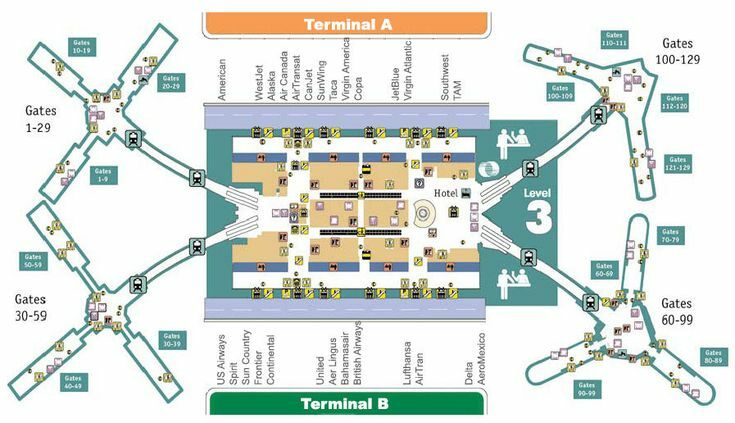 Both terminals share two security checkpoints, one in the West Hall leading to Airsides 1 & 3, and another in the East Atrium, leading to Airsides 2 & 4, with a total of 129 gates. Unlike the similar setup used in Tampa, passengers are required to go through security before accessing the people movers. Major domestic carriers based in Terminal A include Alaska Airlines, JetBlue Airways, Southwest Airlines and Virgin America. Major international carriers include Aer Lingus, Aeromexico, Avianca, Azul Brazillian Airlines, Copa Airlines, and Westjet. Major domestic carriers based in Terminal B include American Airlines, Delta Airlines, Spirit and United Airlines. Major international carriers include Air Canada, Air Canada Rouge, AirTransat, British Airways, Emirates, Icelandair, LATAM Brazil, Lufthansa, Thomas Cook Airlines and Virgin Atlantic which primarily operate out of Airside 4, the airport's main international arrivals concourse.